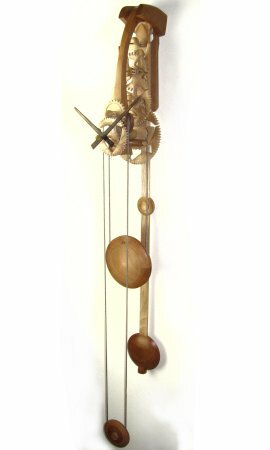 Clock 12.01, made in 2008. 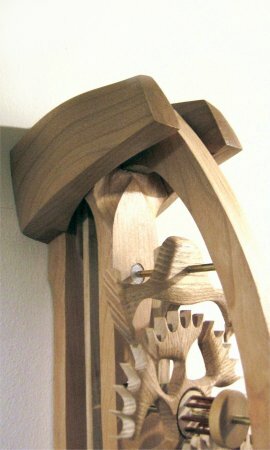 Cherry frame and Ash wheels; Small turned parts including pulleys are Boxwood. 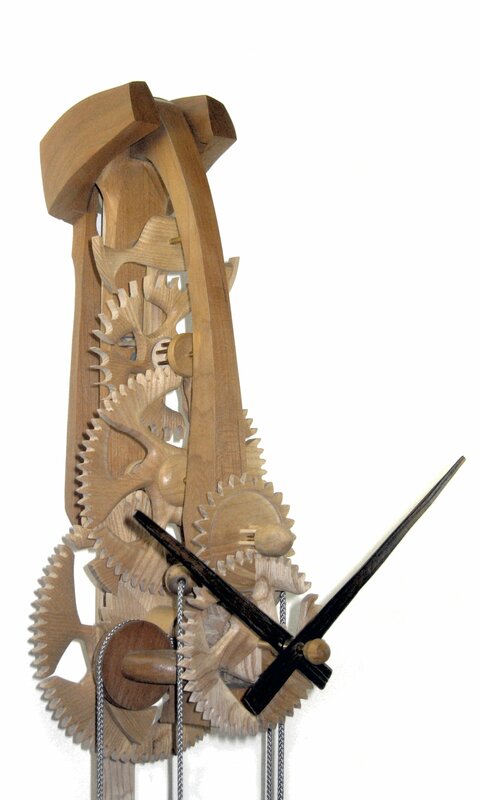 The weight and pendulum bob are Cherry with lead cores, the hands are scorched Ash. Other materials employed include Brass, Steel, Nylon, PTFE and Glass.